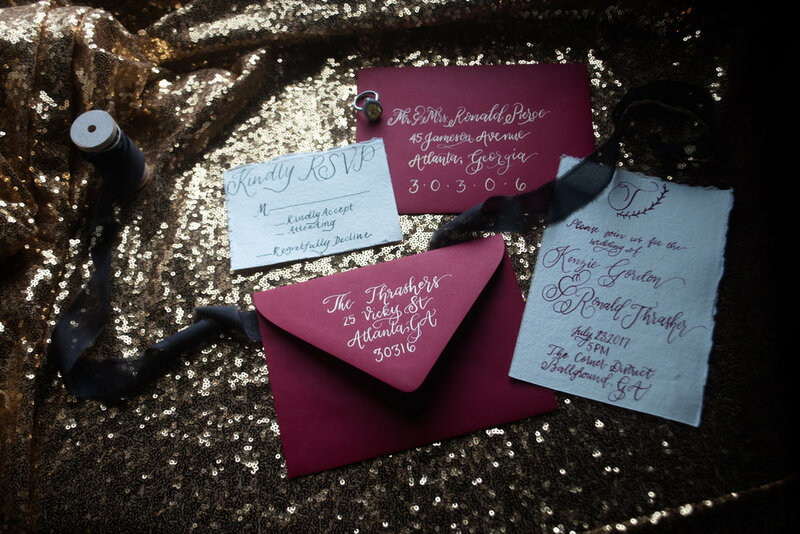 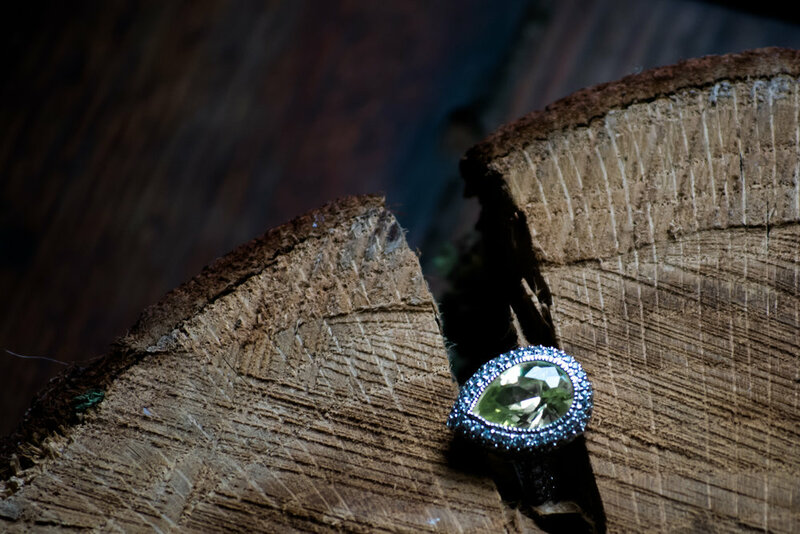 This Harry Potter inspired wedding shoot was full of gorgeous fall wedding colors and stunning gold wedding accents. 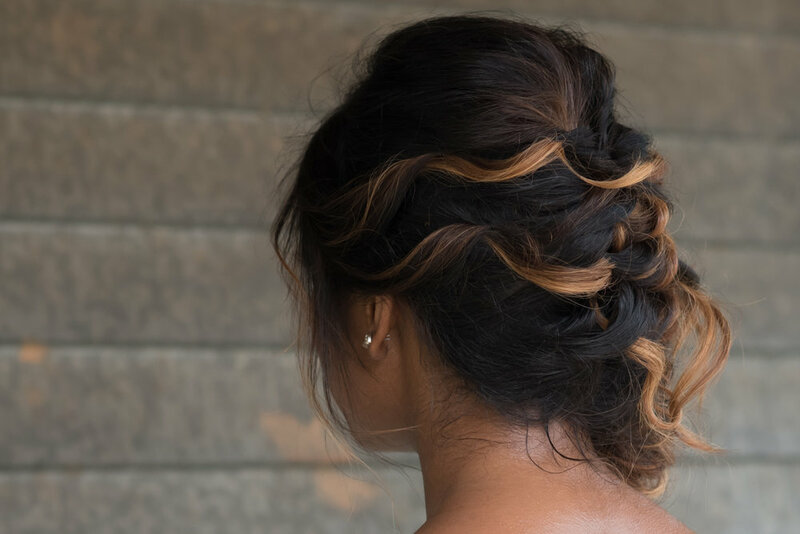 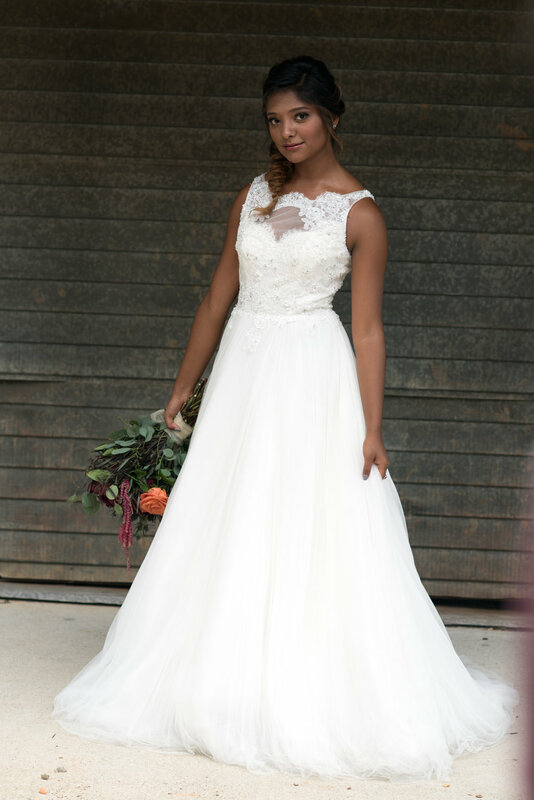 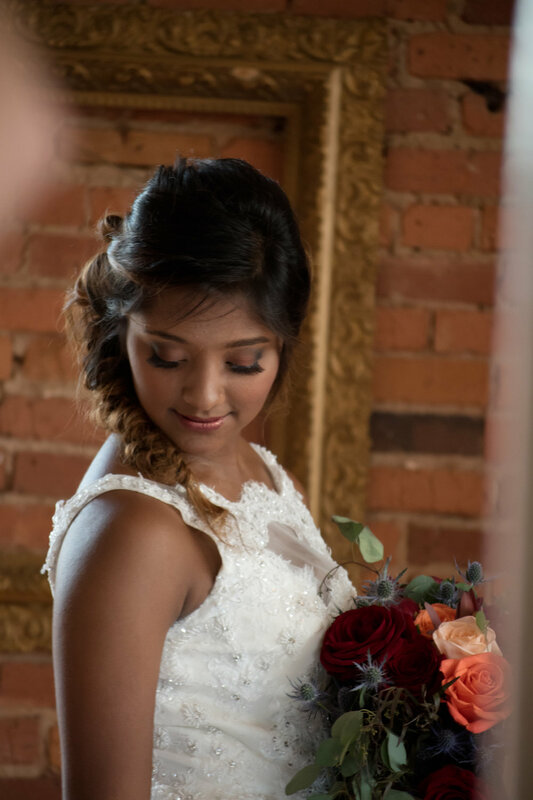 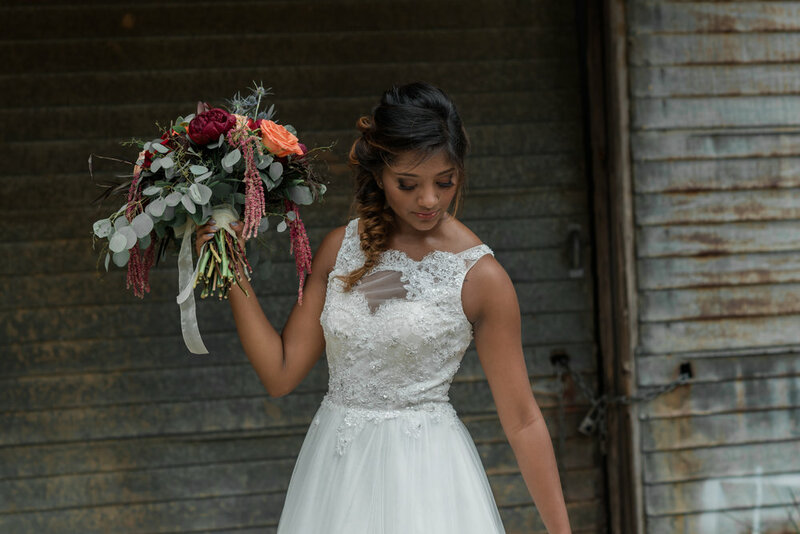 The bride wore a beaded wedding gown, full of movement with golden bridal flats and fall wedding makeup. 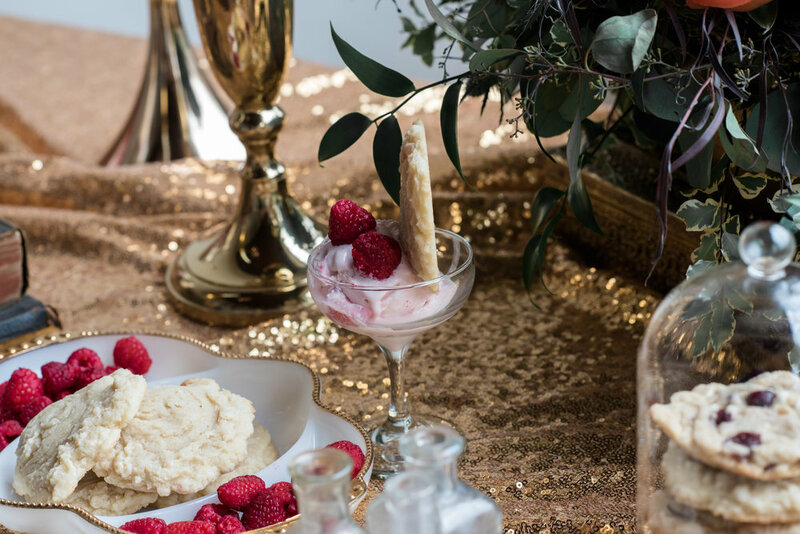 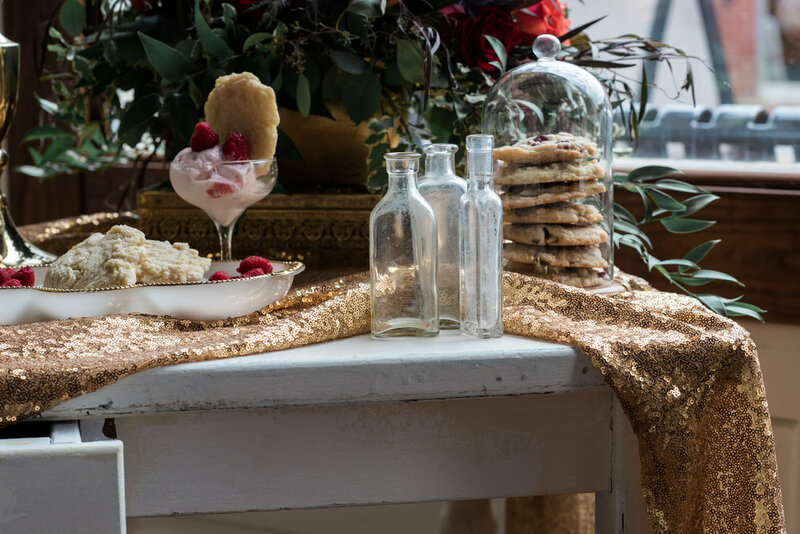 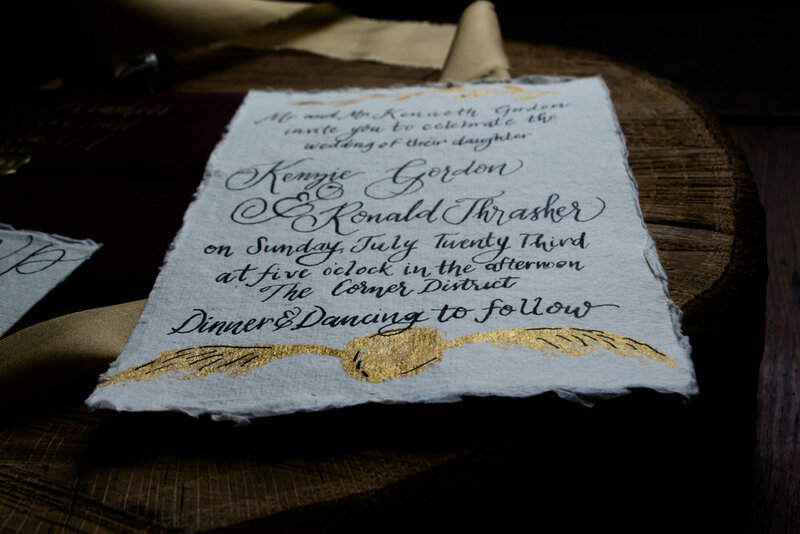 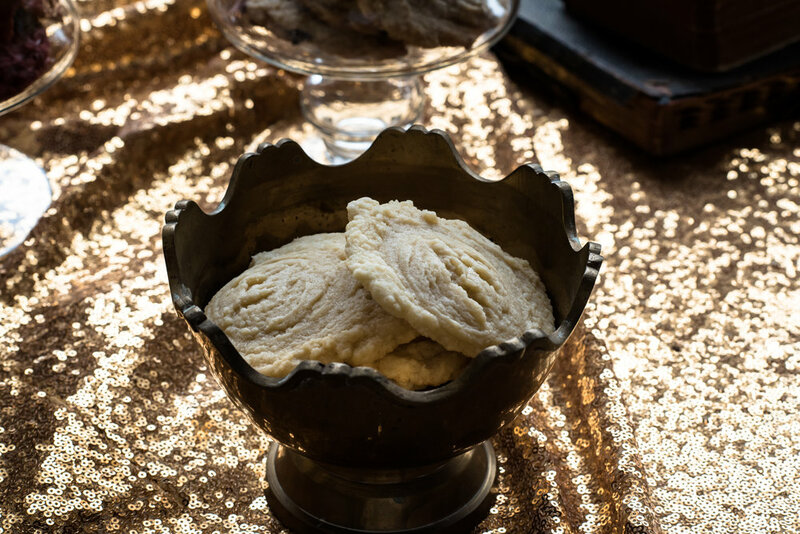 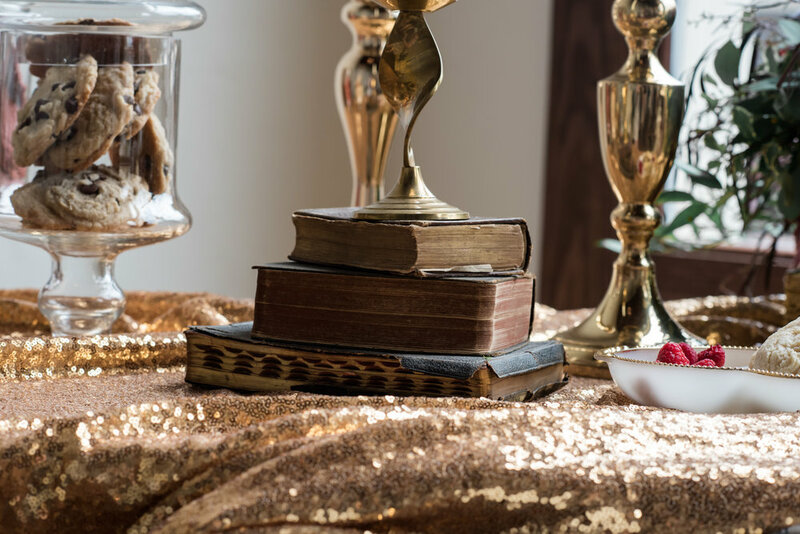 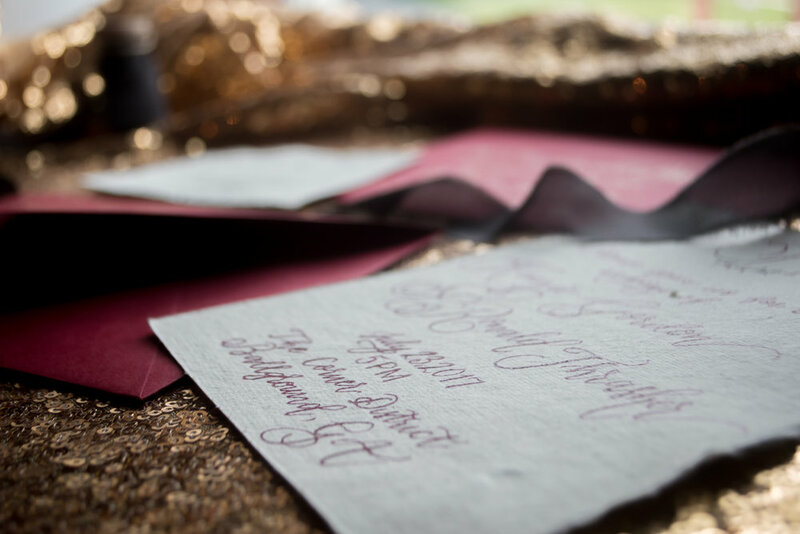 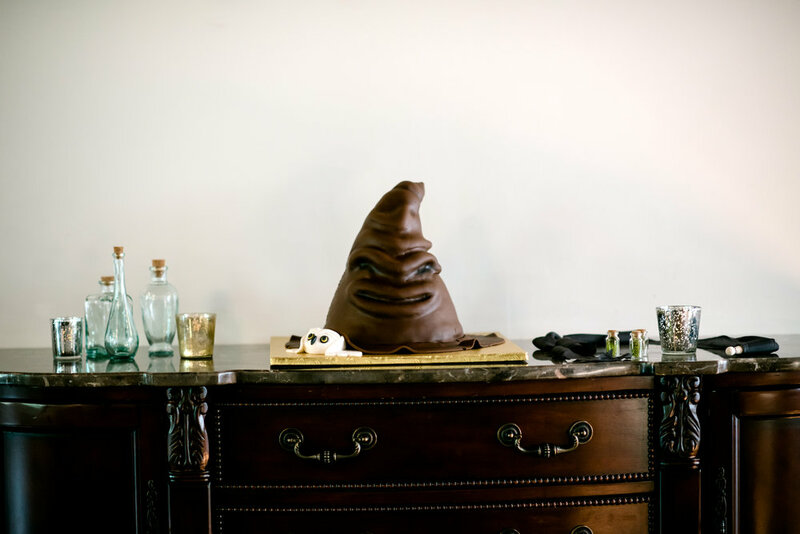 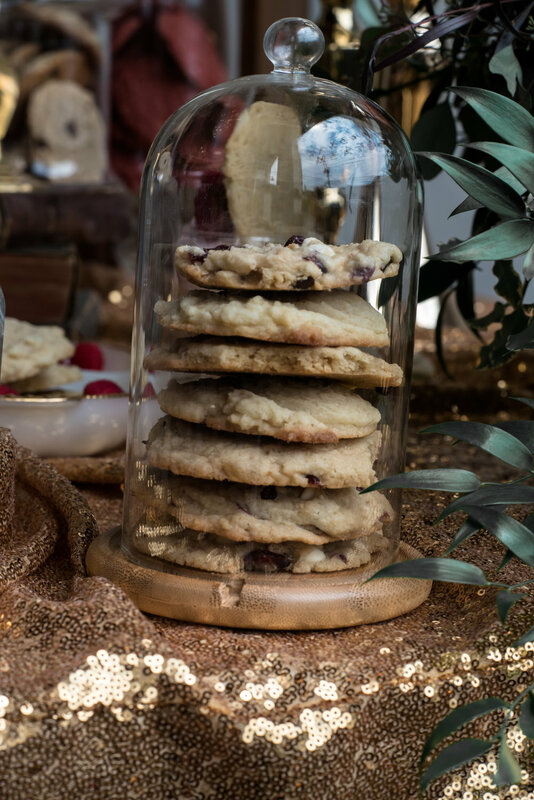 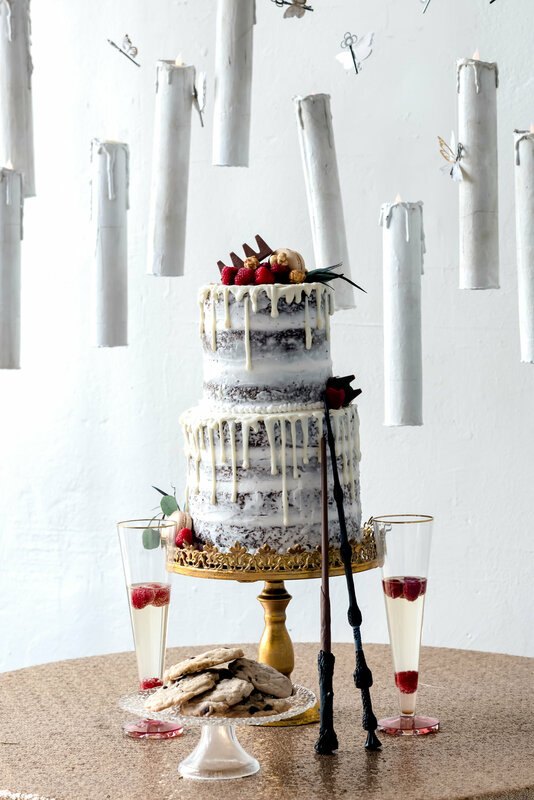 From sorting hat cake, potion bottle decor vintage wedding invitations, vintage books, floating candles and winged keys, this marsala and gold wedding was absolute perfection.